The Downtown Festival is coming! What is that you ask? Well it’s yet another awesome Los Angeles music festival for you to attend. Taking place Friday, November 7th and Saturday, November 8th at the new Regent in Downtown Los Angeles, the Downtown Festival will feature performances by YACHT, Connan Mockasin, Jerome LOL, BEGINNERS, Lydia Ainsworth, Corners, Sage Caswell, and more to be announced! The Downtown Festival’s inaugural year popped off in 2011 to celebrate the five-year anniversary of Downtown Records. In 2013, the festival took over the Lower East Side of New York across seven venues spanning two days with 70+ bands. Now, the Downtown Festival has spread to five cities in 2014 including our home of Los Angeles. The Downtown Festival aims to showcase international and local talent across various genres all in the “downtown of your town”, while being curated by the Downtown Records team. If you dig that feel and the sneak peak of the L.A. lineup for the Downtown Festival, we highly recommend you jump on snagging some tickets. And stay tuned for some more surprises including the remainder of the festival lineup! It’s only going to get better! Tickets to each day of the Downtown Festival are priced at $15 – $20 and the event is 18-and-over. You can also purchase a two-pass for $25! Tickets are on sale now! 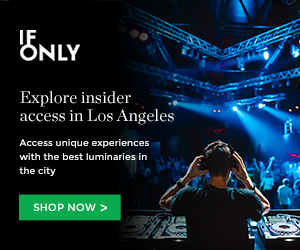 GET TWO-DAY PASSES TO THE DOWNTOWN FESTIVAL LOS ANGELES! GET TICKETS TO THE DOWNTOWN FESTIVAL LOS ANGELES (FRIDAY)! GET TICKETS TO THE DOWNTOWN FESTIVAL LOS ANGELES (SATURDAY)! Stream the Downtown Festival’s playlist! Connan Mockasin calms people’s “new FYF” frustrations with a dreamy set. Photos: Yacht at Make Music Pasadena! This entry was posted in Just Announced and tagged BEGINNERS, Connan Mockasin, corners, Downtown Festival, Jerome LOL, Lydia Ainsworth, Sage Caswell, the regent, Yacht on October 23, 2014 by Sandra Burciaga Olinger.